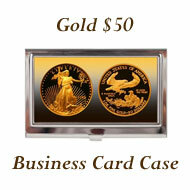 In 1988, the US Mint returned to commemorating the Olympic games with the 1988 Prestige Set. 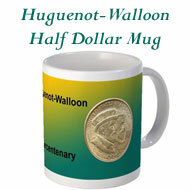 The size and outer format of the packaging remained the same as the earlier two years with changes in the color and in the materials for the coin book. 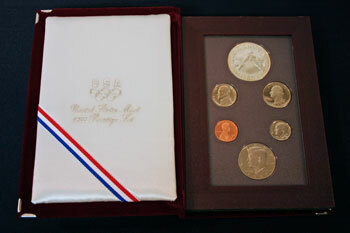 The Prestige Set contained six proof coins, five standard coinage and one commemorative silver dollar celebrating the American athletes participating in the games. 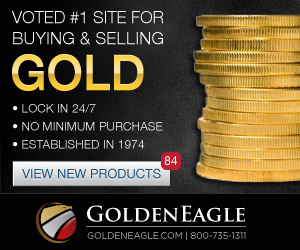 The coins equal $1.91 in face value. 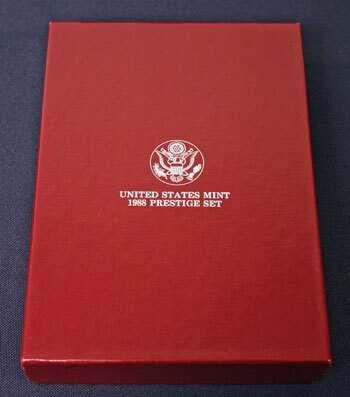 The US Mint initially sold the 1988 Prestige Set for $45 which would be $82.78 in 2010 money using the Bureau of Labor Statistics' Inflation Calculator. The rich red, almost burgundy, of the outer box highlights the contrasting silver print of the heraldic eagle emblem and the inscription "UNITED STATES 1988 PRESTIGE SET." The two-piece box measures 5 1/4 inches by 7 3/8 inches by 1 5/8 inches when closed. 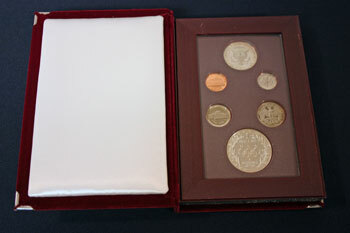 Inside, the two-piece box securely holds the book containing the six proof coins and the Certificate of Authenticity. 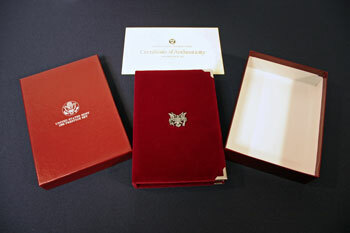 Burgundy velvet, a change in material from the 1986 and 1987 Prestige Sets, covers the padded exterior of the book with metal brackets protecting the corners. 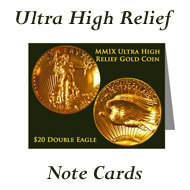 The metallic symbol for the heraldic eagle centers the front cover of the coin book. Inside the front cover, the US Olympic logo of "USA" over the interlocking five Olympic rings is printed in silver on an off-white padded fabric. 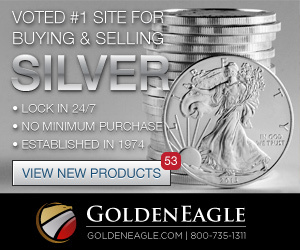 Just below the logo, "United States Mint" and "1988 Prestige Set" shines in silver script. 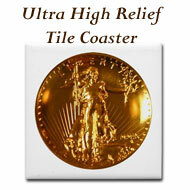 The padded fabric protects the plastic and acrylic holding the coins. 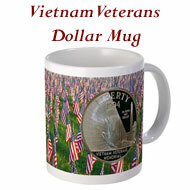 In addition, a red, white and blue ribbon attaches across the lower left. This ribbon could be used to hold the Certificate of Authenticity. 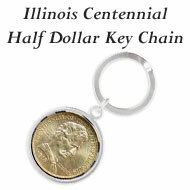 The facing page holds the six proof coins. 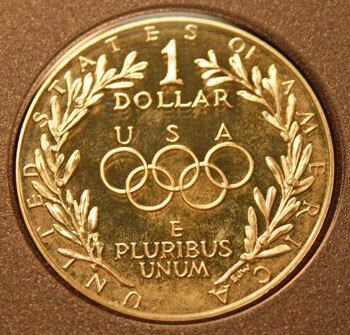 Five of the coins are proof versions of coinage in circulation and included at the top is the silver dollar commemorating the American athletes participating in the Olympic games. 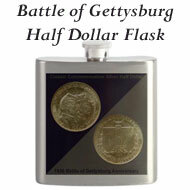 Plastic in two shades of burgundy holds the coins with clear acrylic protecting the obverse and reverse from scratches. 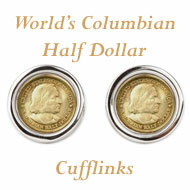 Inside the back cover, a softly padded off white fabric protects the clear acrylic over the reverse of the coins. 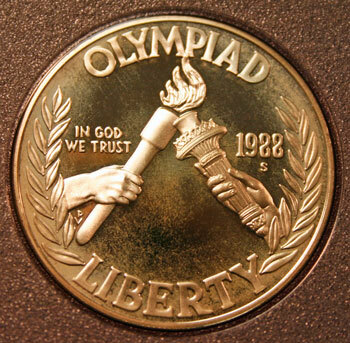 On the obverse of the commemorative silver dollar, the flame of the Olympic torch held in a man's hand and the flame of Liberty's Torch merge into one under the inscription "OLYMPIAD." Along the rim beneath the joined flames is inscribed "LIBERTY." "IN GOD WE TRUST" and "1988" show to the left and right of the torches respectively. 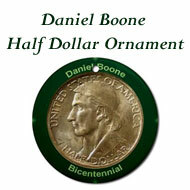 Note, this particular coin shows toning along the rim and between the bases of the torches. The reverse shows the American Olympic Team logo framed between two olive branches. 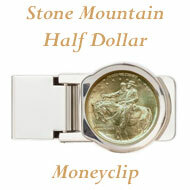 Above the logo and between the tips of the olive branches, "1 DOLLAR" is carved with "E PLURIBUS UNUM" beneath the interlocking rings. 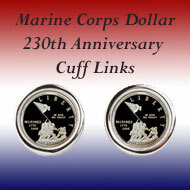 "UNITED STATES OF AMERICA" encircles the rim of the reverse. The Summer Olympics were held in Seoul, Korea from September 17 to October 2, 1988. 160 nations participated sending a total of 8391 athletes - 6197 men and 2194 women. They competed in 263 events representing 27 different sports. Table tennis is introduced during the Summer Games. Badminton and baseball were demonstration sports. The Soviet Union (132 medals) and East Germany (102 medals) took overall first and second in medal standings at the 1988 Summer Games. The US won 94 medals - 36 Gold, 31 Silver and 27 Bronze. Calgary, Alberta, Canada hosted the Winter Olympics from February 13 to February 28. 57 nations participated sending a total of 1423 athletes - 1122 men and 301 women. There were 46 events for six different sports. Super G alpine skiing became a medal event for both men and women at the 1988 games. Curling, freestyle skiing and short track speed skating were only demonstration events. The Winter Games were also dominated by the Soviet Union (29 medals) and East Germany (25 medals) with the US winning only six medals - 2 Gold, 1 Silver and 3 Bronze.